I hiked to the summit of Lookout Peak for sunset while watching storms move south and east to the Wind River Range. 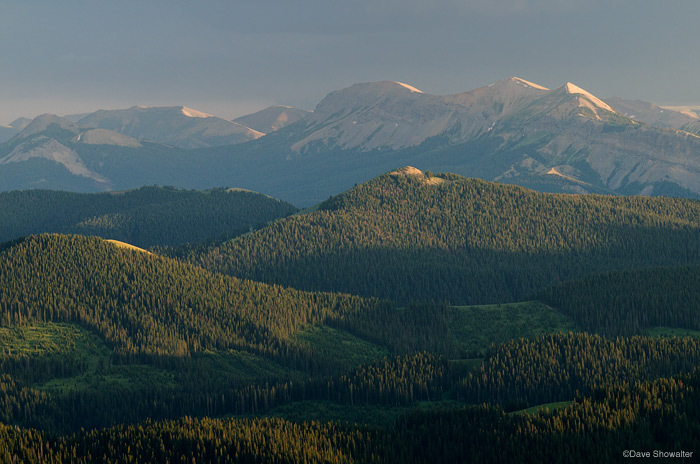 High peaks of the Wyoming Range were sidelit just before sunset with ominous clouds approaching. Photo © copyright by Dave Showalter.